August 2018 marks the start of an exciting 12-month smart meter pilot program in Penneshaw. 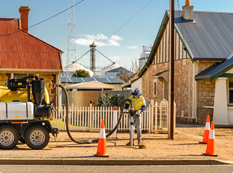 The program expands the installation of smart meters beyond the Adelaide CBD to Penneshaw, Kangaroo Island, enabling us to better monitor and manage the delivery of safe clean drinking water. The smart water network has seen us invest in technology and install sensors to monitor water pressure and flow across Adelaide’s central business district. Smart meters were also installed for business customers to help them better manage their water use and costs. The combination of this technology has improved how we identify leaks so we can fix them while the city sleeps, minimising service interruption and commuter delays, while also demonstrating how customers can benefit from receiving smart meter data via our customer portal, mySmartWater. The smart water network is now evolving. In Penneshaw we are installing flow and pressure sensors, plus 300 smart meters for residential and business customers, making it the first complete South Australian community to be part of our smart future. The pilot will help improve our understanding of the supply network so we can detect, prioritise and repair existing faults within the network. 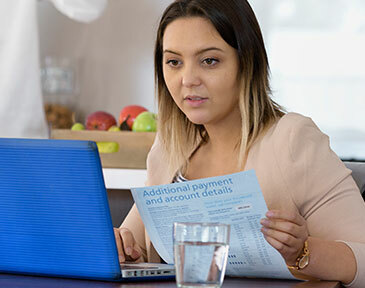 Penneshaw customers will also have the opportunity to better manage and understand their own water use, while also detecting leaks within their own water system, with a smart meter and mySmartWater access. We will test and investigate all aspects associated with this technology, with a dedicated team on hand to provide Penneshaw customers with a great experience.